Philomena Dashwood encounters a series of dangerous shipwrecks, monsters, and threats to her woolen skirts, but perhaps the most terrifying adventure of all is that she must contend with her throng of admiring suitors. If that wasn’t bad enough, Dashwood must deal with a revolt of automatons aboard an airship, face the horror of a zombie attack aboard a locomotive of the living dead, encounter pirates who have unwittingly unleashed a blob, infiltrate an insane asylum to save the life of her friend Percy, and prevent the Were-beast of the Wild West from destroying a small American town. If you’re a fan of the illustrated Steampunk Bible by Jeff VanderMeer or enjoy the stunning images of 1,000 Steampunk Creations by Dr. Grymm and Barbe Saint John, then you’ll find a lot to love about Tyson Vick’s serialized steampunk photography magazine. This visual tour de force combines story elements of steampunk fairy tales and monster stories with the visual aspect of a graphic novel. 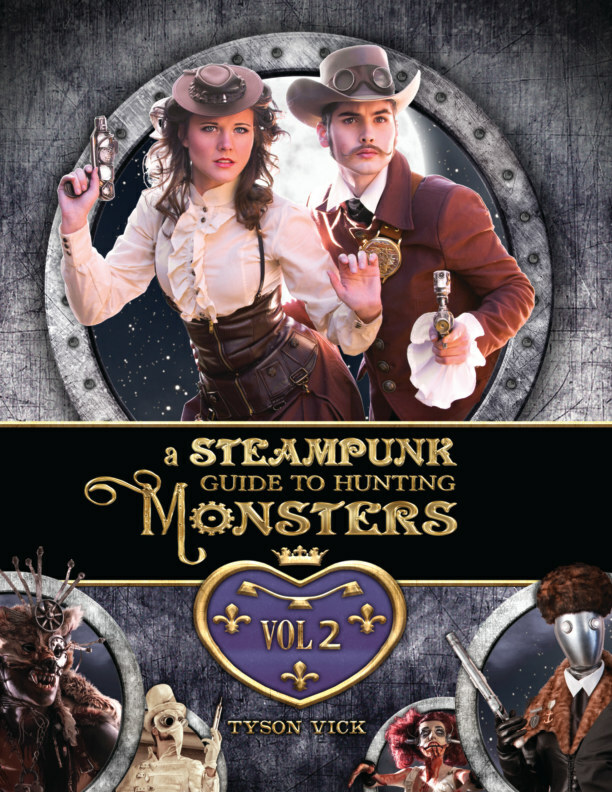 An excellent collector's item for steampunk fans, and a great coffee table book showcasing the popular steampunk world of Tyson Vick.